For more than 25 years, Paulette Sarp has worked closely with insurance professionals, evaluating and resolving their coverage and extra-contractual disputes in state and federal courts in jurisdictions nationwide. Paulette handles matters involving claims-made and occurrence-based coverage and is experienced in varied commercial and personal lines, including commercial general liability, directors & officers, professional liability, workers compensation/employers liability, commercial auto, homeowners, personal auto, and excess/umbrella policies. Recognizing the uniqueness of each case, Paulette proactively develops and executes tailored strategies to help her clients resolve the issues they are facing in a way that meets their specific goals. This could range from something as simple as preparing a well-reasoned letter to opposing counsel before any lawsuit is filed, to litigating the case all the way through trial and appeal. 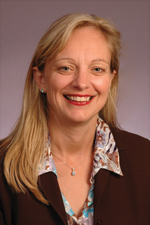 In addition to her dispute-related work, Paulette assists with policy drafting, counsels her clients as to changes in statutes and case law that affect their coverage and claim-handling obligations, and prepares opinion letters that analyze coverage and her clients' potential exposure for first-party and third-party claims. Paulette is the Business Development leader for the firm's Insurance Services Practice Group. Before joining Hinshaw, Paulette practiced at a Minneapolis-based firm, where she handled third-party defense and coverage litigation. She also spent more than a decade at Phoenix-based firms, focusing on insurance related issues and commercial litigation. Secured summary judgment for insurer client allowing it to rescind claims-made professional liability policy and dismissing bad faith counterclaims against insurer. Court imposed common law duty on insured to notify insurer if answers in application became false prior to issuance of policy, even though application itself did not impose this duty. (Arkansas federal court; judgment affirmed by U.S. Court of Appeals for the Eighth Circuit). Secured summary judgment for insurer client on condominium's claim to collect $2 million stipulated judgment against insured under architects/engineers professional liability policy. Insurer did not receive adequate prior notice of agreement; stipulated judgment was unreasonable based upon merits of claims against insured; and insurer was not estopped from denying coverage by refusing to post supersedeas bond for insured's appeal of judgment against it on only non-covered claims. (Minnesota federal court; judgment affirmed by U.S. Court of Appeals for the Eighth Circuit). Tried case to jury verdict in favor of insurer client. Homeowner's insurer properly applied intentional act exclusion to deny coverage for assault claim despite insured's claim of self-defense. (Arizona state court). Recovered $3.75 million for insurer client on contribution claim against captive insurer that issued fronting policy. Priority of coverage between two insurers who provided professional liability coverage to negligent employee was controlled by "other insurance" provisions, even though insureds agreed to different priority of coverage in separate contract to which insurers were not parties. (Maryland federal court; judgment affirmed by U.S. Court of Appeals for the Fourth Circuit). Secured summary judgment allowing insurer client to rescind and deny coverage under lawyers professional liability policy. Insured's knowledge that a lawsuit filed on behalf of client had been dismissed was notice of potential claim that should have been disclosed to insurer during application process. (D.C. District Court; judgment affirmed by U.S. Court of Appeals for the District of Columbia Circuit). Tried case to jury verdict in favor of insurer client. Homeowner's insurer properly applied intentional act exclusion to claim asserted against insured who committed arson. Insured's diagnosis of pyromania was not a mental defect that precluded him from intending to cause damage for purposes of insurance coverage. (Arizona federal court). Secured summary judgment for insurer client on first party commercial property / implement dealers claim. Policy was not ambiguous even though policy was complicated and insured had to consult multiple policy forms and endorsements to determine whether coverage existed for particular loss. (Iowa state court). Secured summary judgment for insurer client that it was not estopped from asserting sub-limit of coverage for assault and battery by failing to provide notice of sub-limit to claimant under New York Insurance Law § 3420(d). Application of sub-limit was not a disclaimer or "effective disclaimer" of coverage sufficient to require notice under § 3420(d). (New York Supreme Court). Paulette Sarp Mentioned in Law360 Article on Eighth Circuit Ruling in Favor of MMIC Insurance Co. When she is not at work, Paulette can be found in the backyard gardening and trying to keep up with her two dogs' seemingly endless desire to fetch that ball. An organization dedicated to transitioning homeless families to permanent housing in the Twin Cities area.